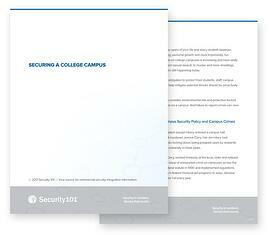 Creating a college or university security plan is a challenge for a campus security director. There is no one-size-fits-all model for securing thousands of people, dozens of buildings, acres of open space, remote parking lots/garages, dormitories and more. College security departments need help as campuses turn toward equipment-oriented, multi-layered approaches to protect and patrol. Disparate systems provide thousands of contact points, each needing to be monitored. It’s an incredible task for even a large security staff. Failure to consider environmental risk and protective factors for individuals, the institution and the community can lead to devastating acts of violence on a college campus. It’s important to work closely with an experienced security integrator before starting a new plan or updating an existing one. An outside consultant brings a fresh eye to a project, being able to notice potential trouble spots easily overlooked by security staff on campus every day. 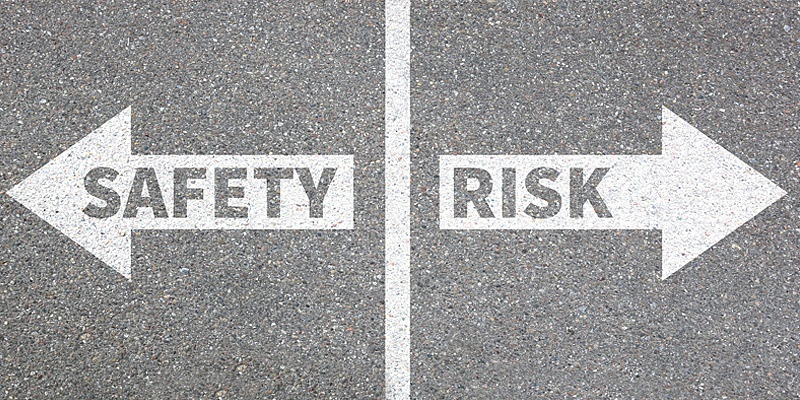 Before beginning any serious planning, every integrator should perform a risk assessment to measure a campus’ security strengths and weaknesses. A thorough assessment will take several days to complete. But it’s a process that can greatly enhance security. The assessment findings will serve as a road map for current and near-term security spending. And it can save money in the long run by focusing limited resources on those areas most in need. The surrounding neighborhood; How could nearby businesses and traffic patterns impact the campus? Outdoor fencing, lighting and landscaping: Are there possible hiding places for criminals and contraband? Parking lots/garages: Are entry points well lit and monitored with video camera solutions? Dormitories: Are access control solutions implemented? Do these solutions work? Electronic systems: Are access control, video surveillance and intrusion solutions integrated? Security policies and procedures: Where are imminent threats and vulnerabilities? Institutions of higher learning have an obligation to protect their students, staff, campus and legacy. Preventative measures to help mitigate potential threats should be proactively approached. Throughout the month of October, Security 101 will be publishing a 3-part white paper series. All topics will focus on how to secure a college campus. Read our white paper on "Securing a College Campus" for a holistic view on how your educational institution can mitigate threats and vulnerabilities to protect its students, staff and facilities. Are your students and staff safe? Security 101 is disrupting the integration industry and solving complex challenges with uniform security programs for colleges and universities.